My office receives a lot of phone calls about how to proceed when applying for a marriage green card. We have handled these types of cases for over 20 years. Here are the top 5 mistakes that couples make when filing these cases by themselves. 1. Not Being Completely Honest When Completing Your Paperwork. When you file a case with USCIS you need to fill out the paperwork completely and honestly. Sometimes clients are embarassed about things that have happened in their past (e.g. past criminal matters or working without authorization). You must answer the questions honestly or you could be making a non-issue into an issue. In fact your case could be denieSet featured imaged based solely on not being honest with immigration. USCIS knows a lot about you. In addition, during the case you will have to undergo biometrics (fingerprinting). A complete background check will be done on you. The questions on the forms may seem repetitive and meaningless to you. However, every question does have meaning to USCIS (that is why they are being asked). Make sure you take every question seriously and answer every single question correctly. If you have an issue that you are concerned about (e.g. a past criminal matter or working without authorization) then you should speak to an immigration attorney before proceeding with anything. 2. Filing the Wrong Forms with USCIS. My office gets many calls from people who have filed paperwork with USCIS by themselves or with the help of a paralegal or notario. Many times the wrong documents were filed and the clients would like us to fix problems. Generally we are able to resolve the situation. However, sometimes we are not. In these cases, at a minimum, the clients are out the USCIS filing fees of $1,490.00 Sometimes, they are facing very serious immigration problems. If you are going to file a case yourself you should at least consult with an immigration attorney prior to filing any documents. You need to make sure you understand which forms and supporting documentation are supposed to be filed before you file anything. 3. Not Submitting the Correct Evidence. USCIS has strict requirements as to what documents need to be filed in support of a green card based on marriage case. Make sure you provide the exact documents that are required. Failing to do this will,at a minimum, result in a request for evidence from USCIS. In this situation, USCIS will ask you to provide the correct evidence by a certain date. If the evidence is not provided, correctly and in a timely manner, your case will not be approved. It is far better to submit everything correctly at the time of filing. 4. Not Taking the Time to Prepare For Your Interview. 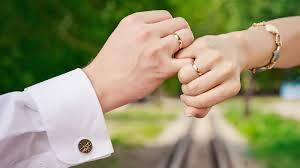 From the time you get married you should be collecting evidence for your interview. You should take pictures at your wedding, your reception, and your honeymoon. You should gather evidence showing that you are sharing a life together. This evidence could include: joint bank accounts and credit cards, joint ownership of assets, and evidence showing that you are intermingling your personal and financial lives. You should both go over your dating and relationship history. (How did you meet? Where did you meet? Where was your first date? etc.) You should know a lot about each other and each other’s family and work situations. If you know these things then there will be no question that the immigration officer asks which will faze you. You will be able to confidently answer any and all questions that come your way. It will be apparent that you are a married couple and your marriage is legitimate. Do not fall into the trap of thinking that “everything will work out fine because I am a U.S. Citizen and our marriage is real”. Your marriage green card interview will be the most important interview of your life. Completely prepare for it. If your interview does not go well your case could be denied and your future together in the United States would be in jeopardy. 5. Not Consulting with an Immigration Attorney. Never, and I mean never, file any document with USCIS without speaking to an Immigration Attorney. Hiring an Immigration Lawyer is not simply hiring someone to fill out your documents. Your immigration attorney will look at your immigration history to see if there could be any problems. He will look at any criminal matters and evaluate your case in detail. If there are any problems he can help you overcome them or advise you to hold off filing a case if the circumstances warrant. He will help you prepare for your interview and will sit next to you during the interview to make sure you have the best chance of having your case succeed. Lawrence Gruner is a Marriage Green Card Attorney with over 20 years of experience handling marriage green card cases in Sacramento. He would be happy to consult with you about your immigration case. His office handles cases in Sacramento, California, the United States and the World. He may be reached at 916-709-4643 or 888-801-6558. This article is general in nature and is meant for educational purposes only. Remember, ALWAYS speak to an immigration attorney prior to filing any documents with USCIS.